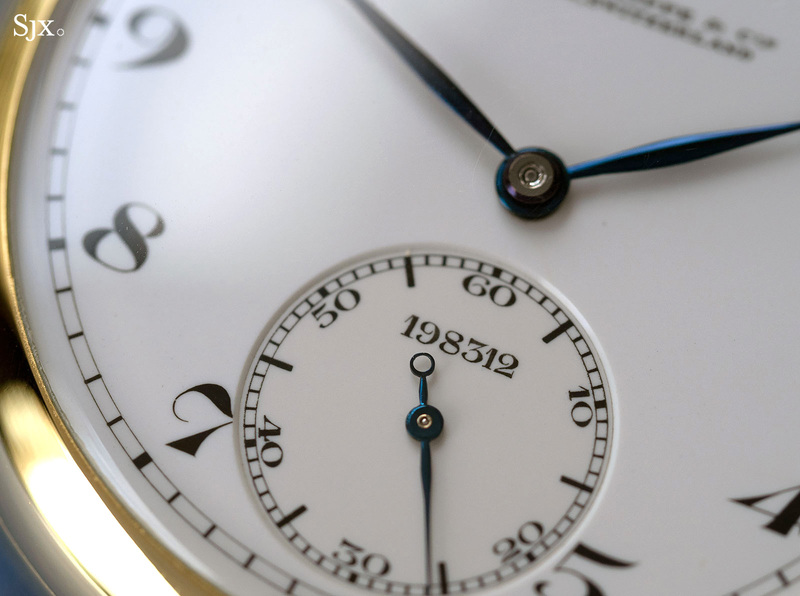 Of the hundreds of watches offered this auction season in Hong Kong, arguably the biggest bargain – when taking into account sheer horological value and historical importance – is the Patek Philippe observatory tourbillon pocket watch with movement number 198’312 that will be sold at Phillips. 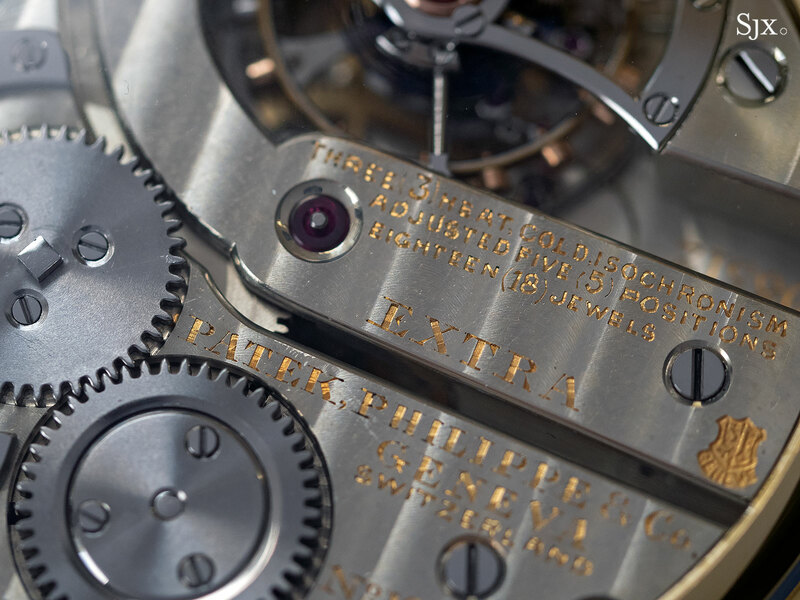 Patek Philippe only made about 100 tourbillon pocket watches starting in the 1860s to the mid 20th century, primarily for observatory time trials, which were then a vital marketing tool. 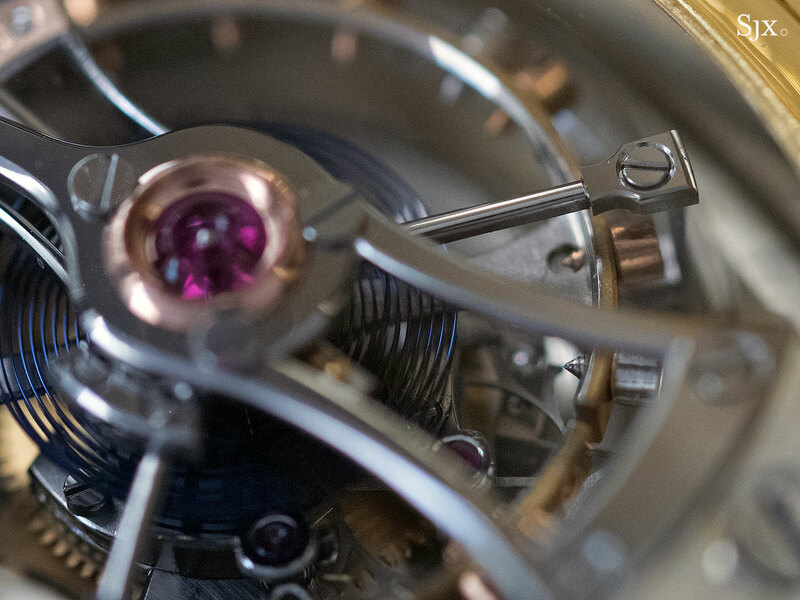 Consequently, most tourbillon pocket watches were not sold, and instead submitted over and over again to observatory contests. 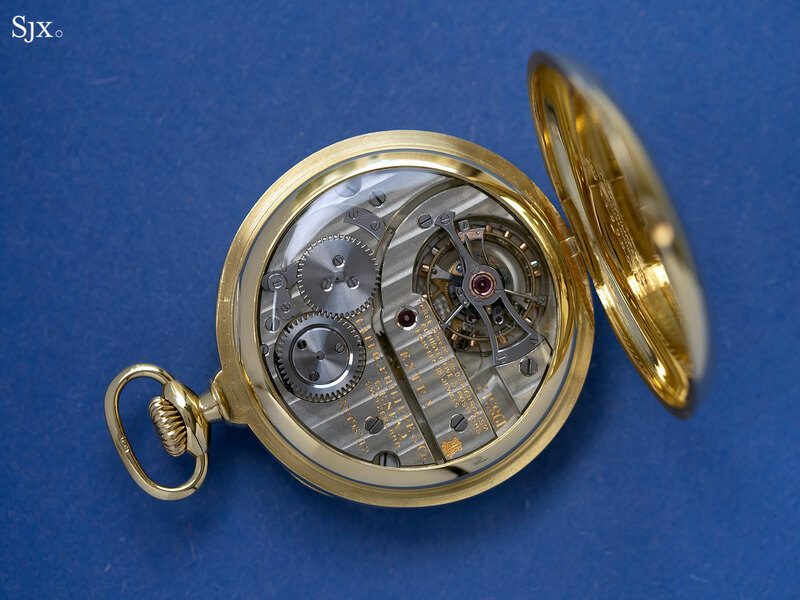 It is believed only about 10 or so tourbillon pocket watches were ever sold, and this is one of them. According to the archive extract, the watch was sold, somewhat surprisingly, in 1934, during the Great Depression. 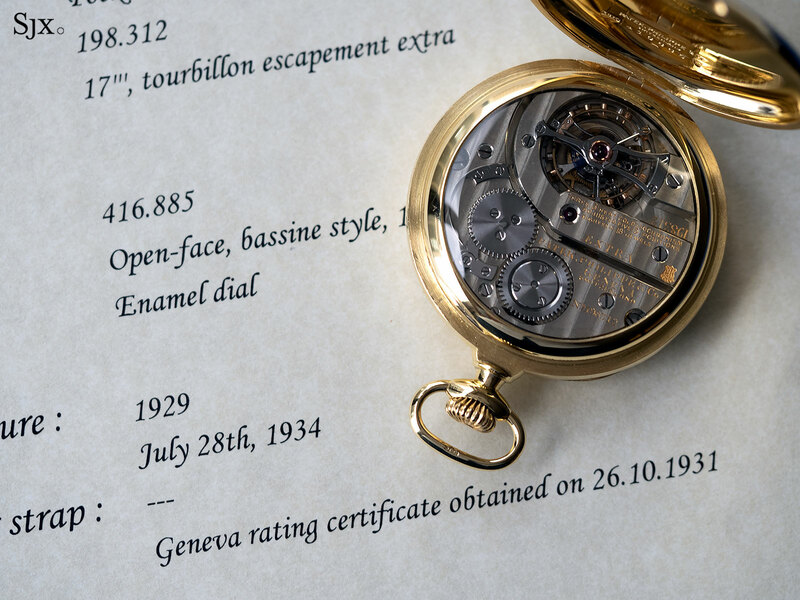 The extract also notes the sale only came after it was submitted to the Geneva Observatory twice: in 1929 when it won first prize, and then in 1931 when it received an honourable mention. 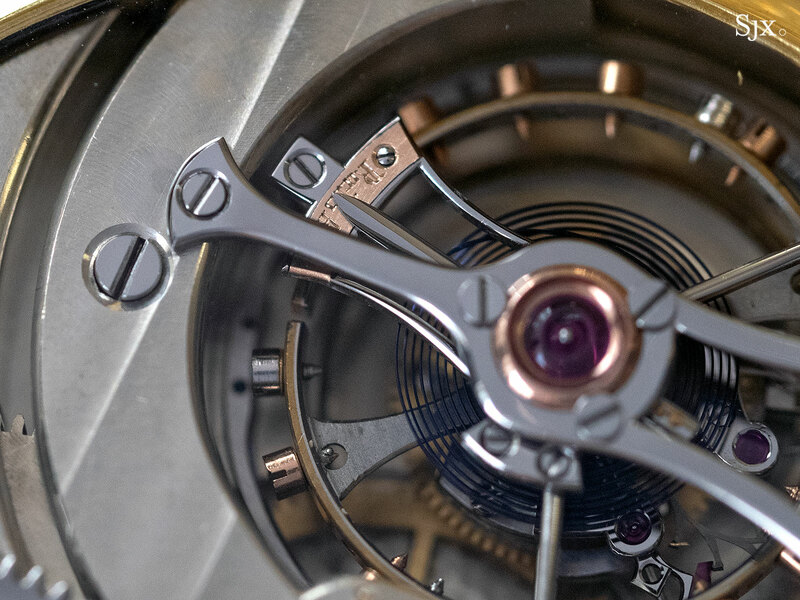 Observatory tourbillon pocket watches were a spare-no-expense creation, produced by the most talented craftsmen using the most expensive materials. 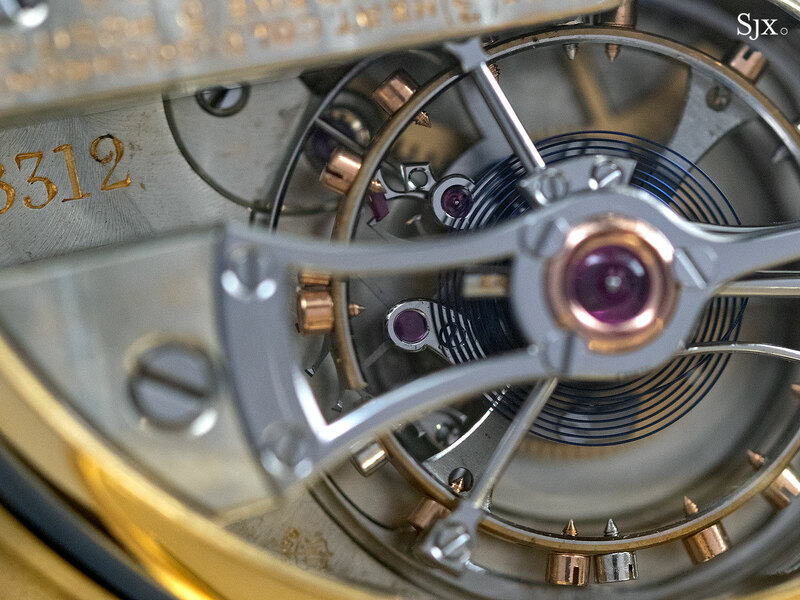 This watch for instance has its regulator scale plate, which is screwed onto the tourbillon carriage, made of solid gold, as are the wheels of the gear train. And the balance wheel is split and bimetallic with gold adjusting screws, the top of the line balance wheel of the time. 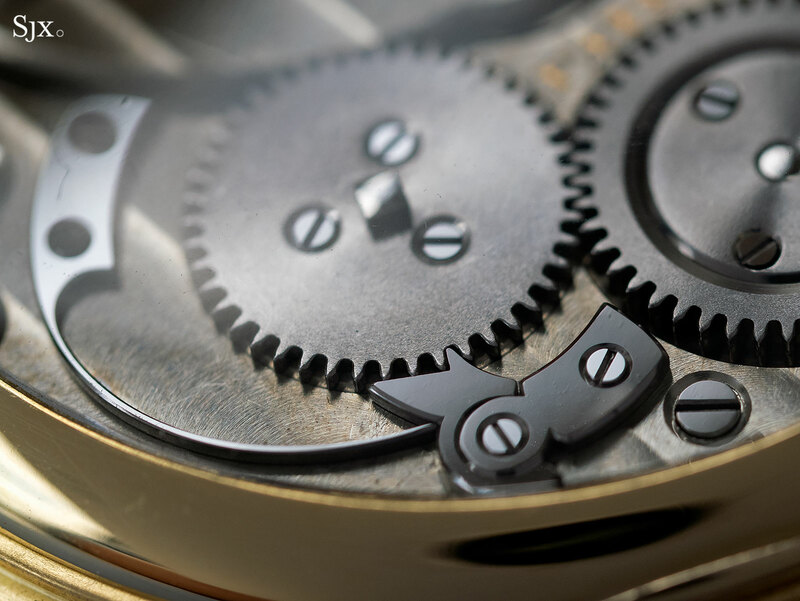 The decoration of the movement is lavish and extraordinary. 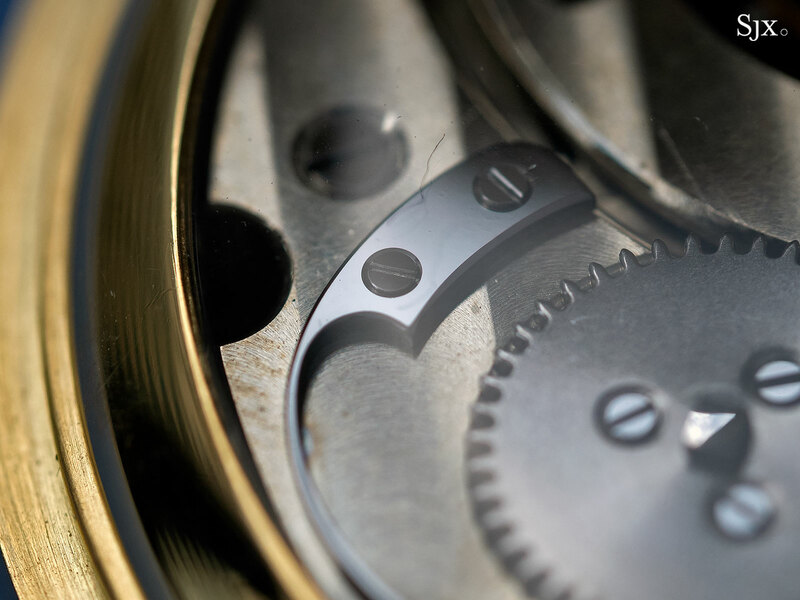 All of the visible flat surfaces of the steel components are black polished, while the jewels and screws sit in polished countersinks, and the list goes on. 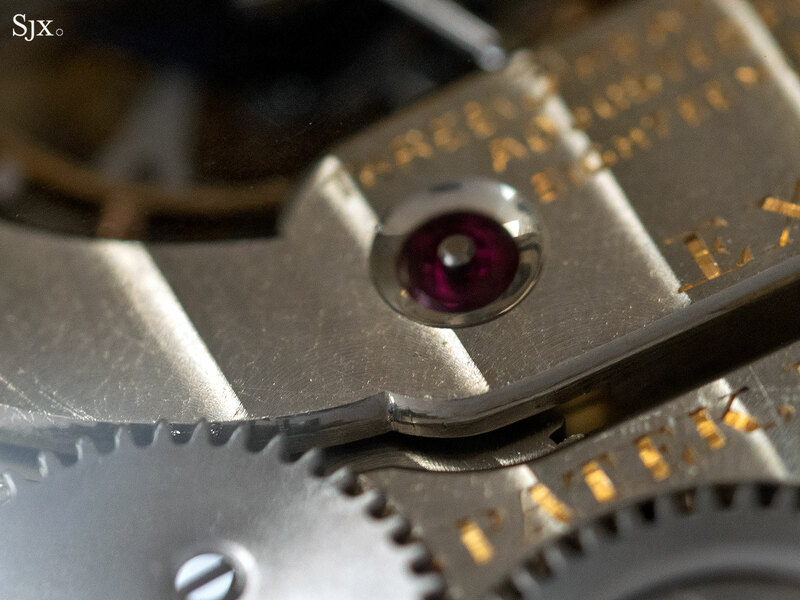 Though the movement has obviously been serviced, occasionally roughly, over its 80-year history, it remains in excellent condition, retaining all of its elaborate, original decoration. Needless to say, the watch was produced by an all-star team. 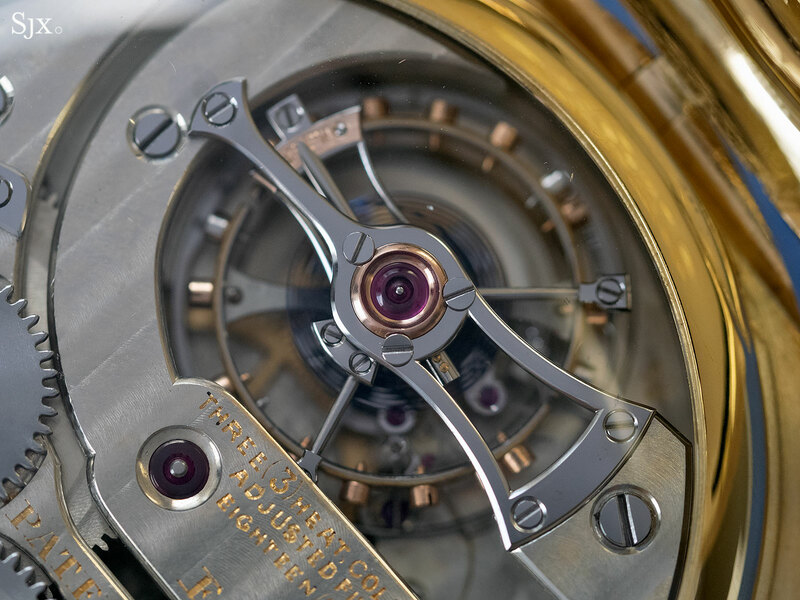 The tourbillon carriage was the work of Hector Golay, and not the better known James C. Pellaton as stated in the Phillips catalogue. 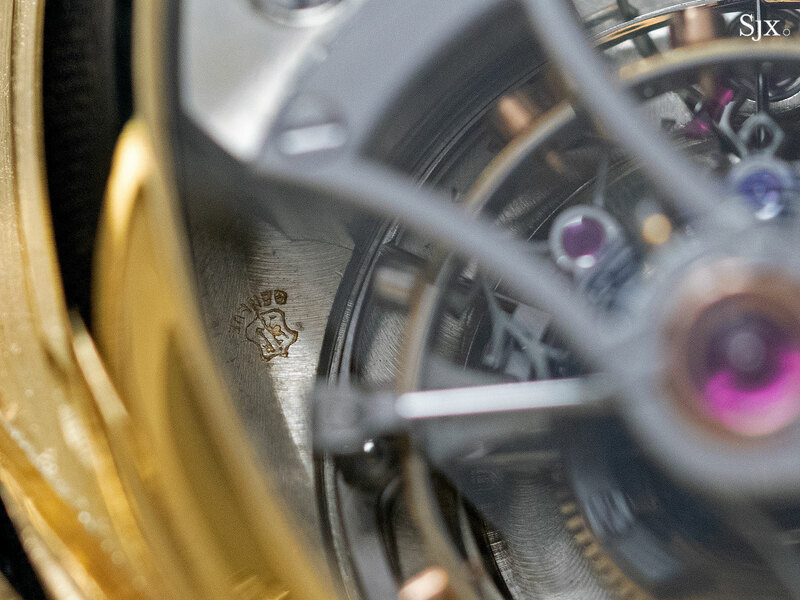 Mr Golay’s tourbillons are distinguished by the inward curved arms of the carriage and bridge, which contrast with the straight arms found on Mr Pellaton’s tourbillons. 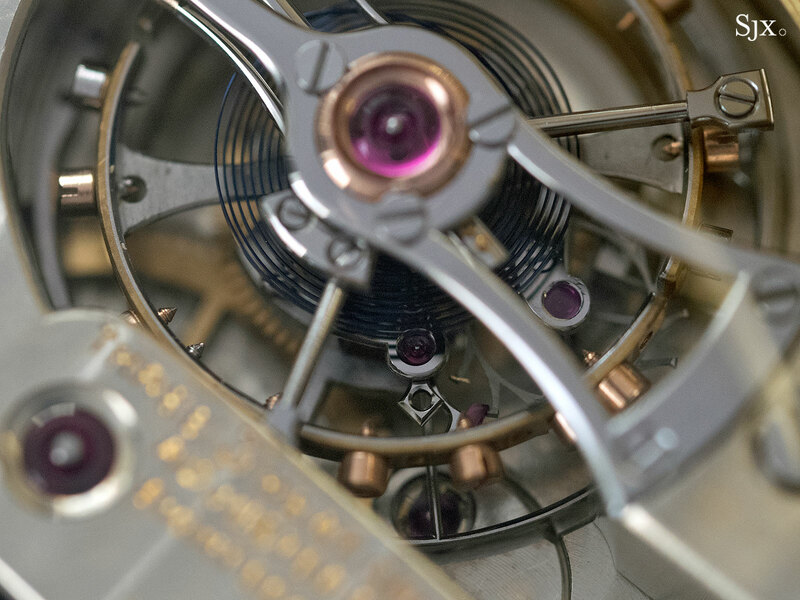 The other horological star involved in building this tourbillon was François Modoux, a top régleur, or regulator, whose job it was to adjust the movement. 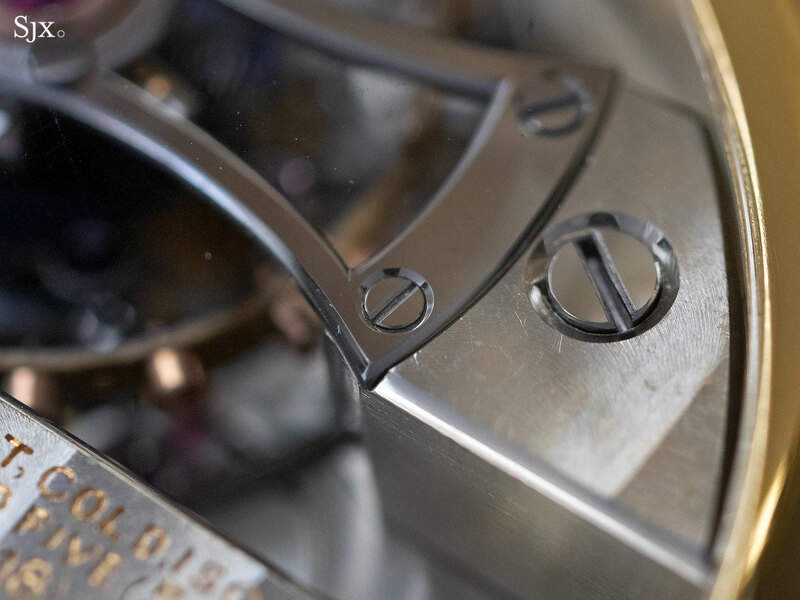 Because observatory trials were such important events, talented régleurs were amongst the most sought after watchmakers, and were paid several multiples the salary of ordinary watchmakers. 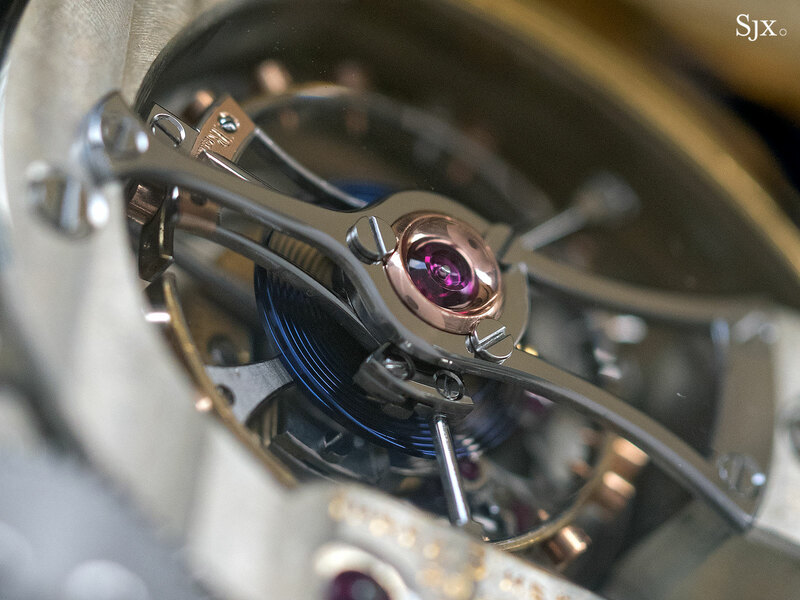 Notably, the Patek Philippe observatory tourbillon no. 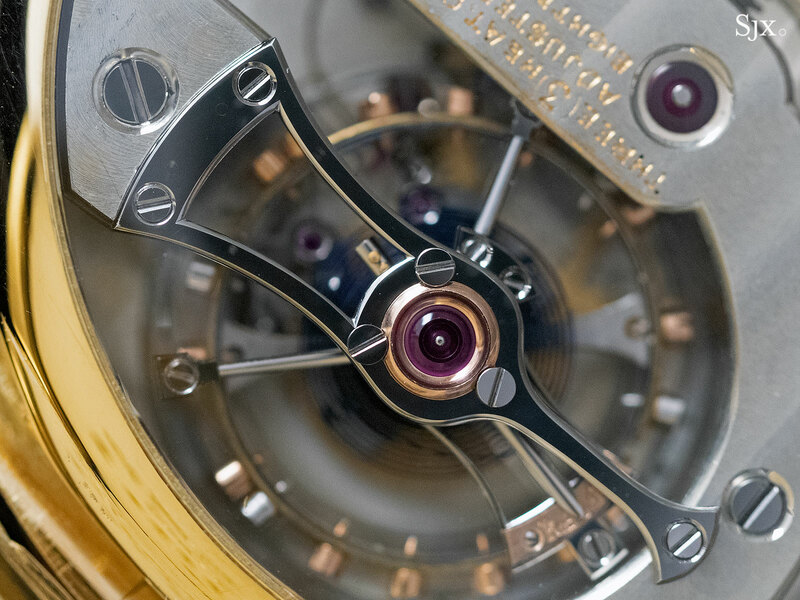 198’423 that took the top award at the Kew-Teddington observatory’s toughest time trial, known as the Craftsmanship Test, also had a tourbillon carriage made by Mr Golay, and was regulated by Mr Modoux, along withe fellow superstar régleurs André Zibach and Henri Wehrli. 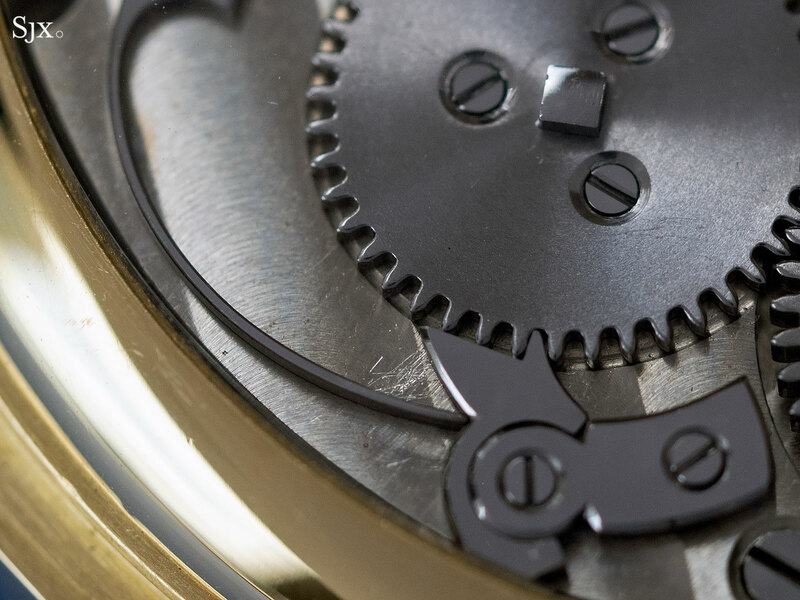 Despite the incredible movement inside, the dial is plain, as is the case for all of Patek Philippe’s observatory. 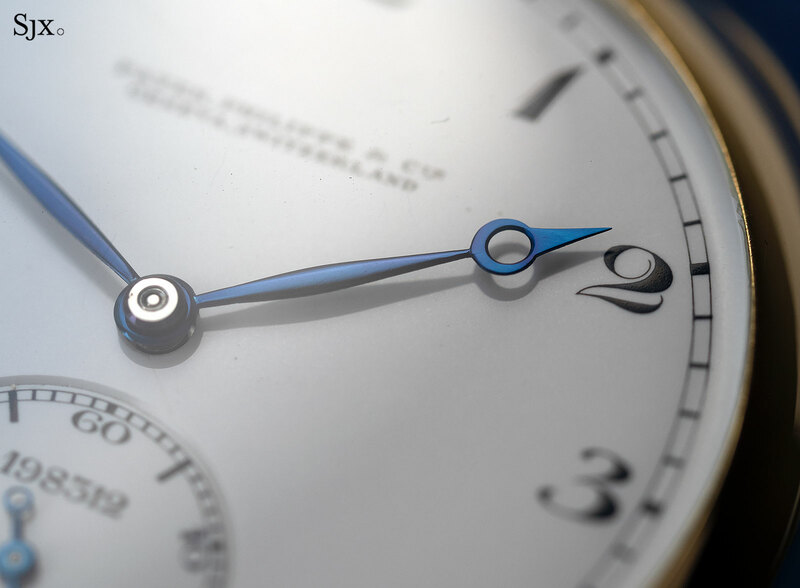 This dial is white vitreous enamel in two pieces, with the seconds sub-dial sunken, and the hour numerals as well as hands in Breguet style. 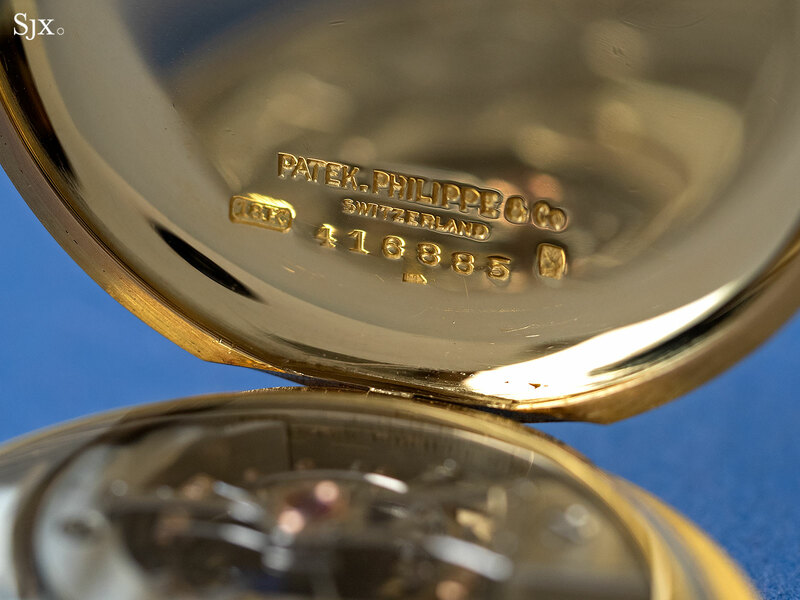 The movement number is painted in enamel on the sub-dial, as is the case for all Patek Philippe tourbillon watches, even its modern day wristwatches. 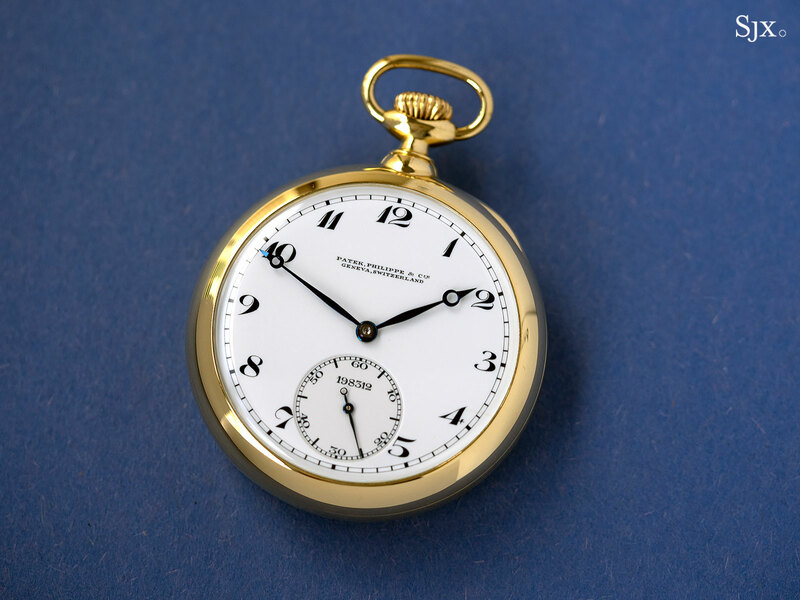 And the case is 18k yellow gold, and 47.5mm in diameter, but relatively thick for a pocket watch of this size. 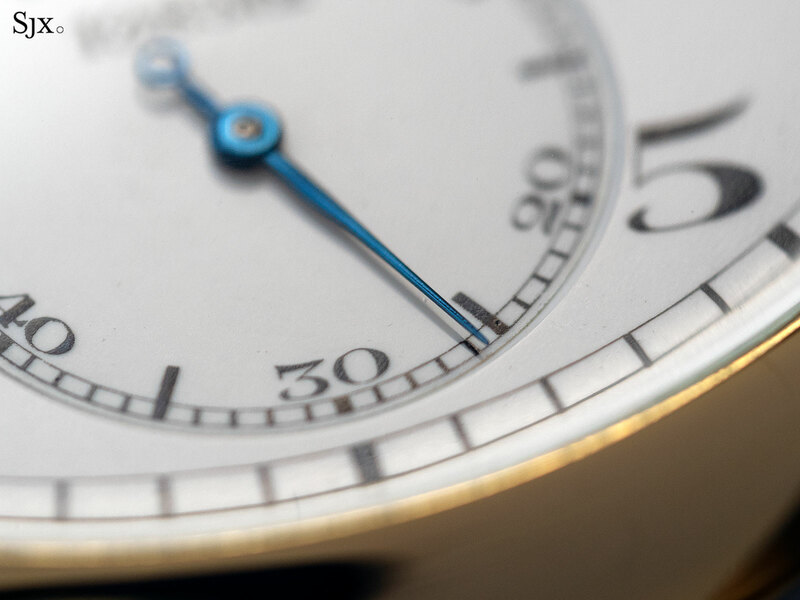 This watch was originally sold at auction in 2009 by Patrizzi & Co., the short-lived venture established by Antiquorum founder Osvaldo Patrizzi, for the princely sum of SFr310,000 to a prominent Swiss collector who has now consigned it to Phillips. 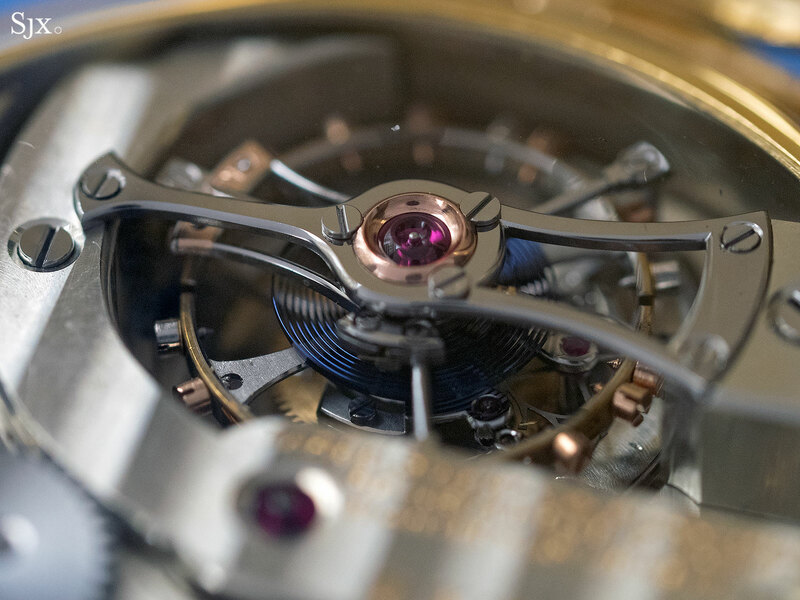 In comparison, the estimate now is a mere HK$1.0m to HK$1.5m, or US$128,000 to US$192,000 – a bargain for a watch of this calibre. It is lot 840 in the Hong Kong watch auction that takes place on November 27. Fancy the Actual ‘Breitling for Bentley’ Bentley Arnage? The official car is for sale. One of the longest lived automotive tie-ups in watchmaking, Breitling for Bentley started in 2003 with very large and shiny watches, but more recently resulted in the restrained but unusual Premier B01 Chronograph 42 Bentley British Racing Green. 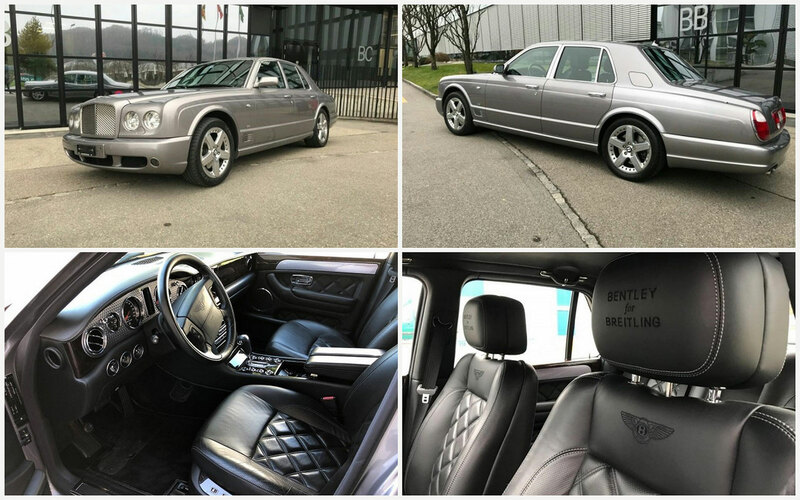 Even more unusual is the one-off Bentley for Breitling Arnage T, with the interior clad in Breitling livery, which is now for sale at a Swiss car dealership, no doubt the result of the cost cutting implemented since Georges Kern took over. At its launch the most powerful four-door sedan in the world, the Arnage T had a 6.8L, twin-turbo V8 with an output of 493 bhp, enough to propel the 2.6 tonne car from zero to 100 km/h in just 5.5 seconds. 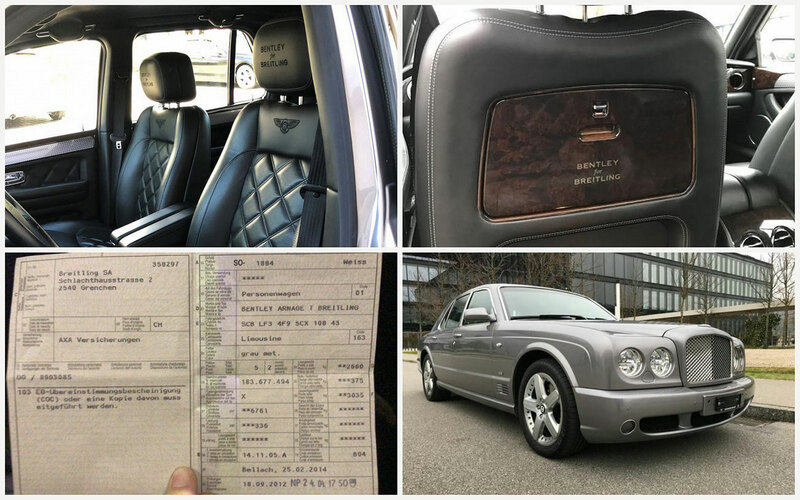 The Arnage was Bentley’s top of the line, uber-limousine, and was succeeded by the even larger Mulsanne in 2010. The Breitling Arnage T was delivered in November 2005 to Breitling headquarters in Grenchen, as evidenced by the invoice that accompanies the car. It’s clocked up only 48,000 km in its 13 years, and retains its original metallic grey paintwork. The Breitling customisation is obvious on the inside, with the headrests of the seats sporting the “Bentley for Breitling” logo. The burl wood veneer tray tables for the rear seats have the same logo on the bottom, while the tabletops are carbon fibre. The Arrange T ‘Bentley for Breitling’ is priced at SFr144,500, or about US$145,000, and is available at Vogelsang Automobile in Zurich.